These include bedside visits (we visit various floors including ICU, oncology, and general pediatric floors), crafts and activities in a playroom/rec room with the children; or both! Goody bags are given out to every child we visit. 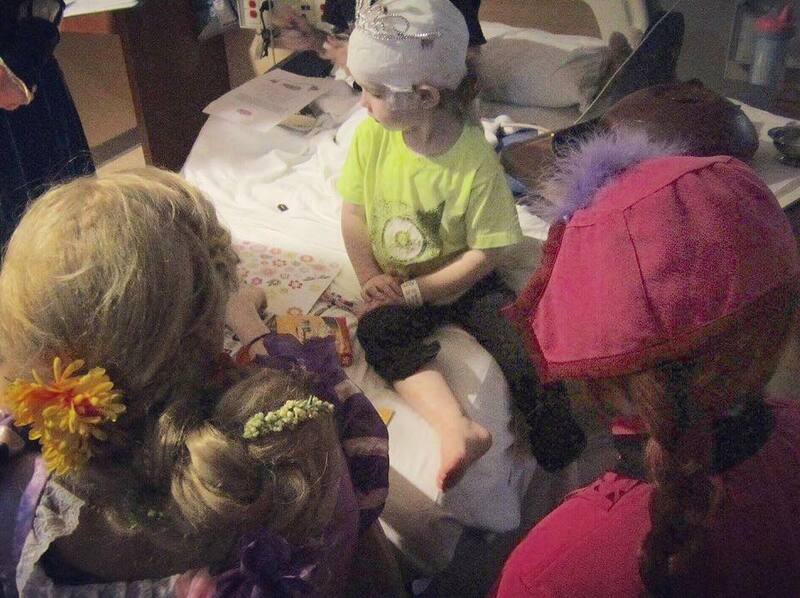 Bedside visits are where our volunteers will visit each child in their hospital rooms. The experience will be tailored for each child and we spend time talking, making small crafts, singing and reading. We also present age appropriate goody bags or special gifts to each child we visit. If you are a parent you can also request individual princess(es) or heroes to visit your child for an extended visit time. Crafts and activities are some of our favorite things and we come ready to craft! We will bring all of the materials necessary for specifically themed crafts (seasonally themed or themed to a specific princess or hero) that we can complete in the rec room/playroom OR in the hospital rooms. 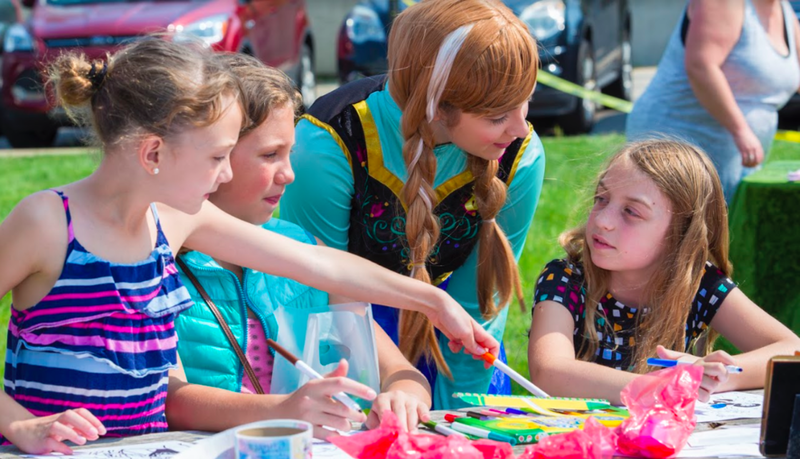 Some of the activities we offer include princess/fairy-tale bingo, treasure hunts, sing-a-long with guitar/other instruments played by our princesses, Easter egg hunts, "tea parties" (can be without real food/drink), princess ball (complete with a simple dance lesson), story-time, coloring, jewelry making, and lots more! 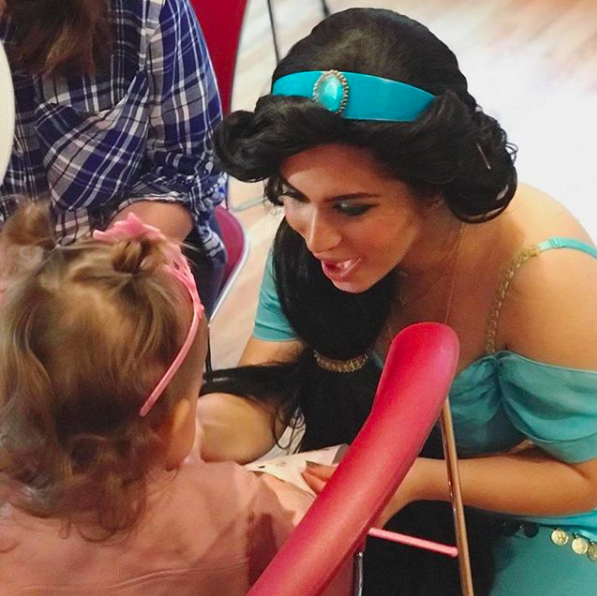 Our princesses and fairy-tale characters can appear at larger events that are dedicated to pediatric cancer or other illnesses, special needs, and various other pediatric communities. These also include fundraisers, company events for companies that would like to sponsor us, parades, and walks/relays. Our princesses can come to your classroom for arts and crafts, activities, storytime, and sing-a-longs. This is perfect for special needs programs and other organizations associated with the special needs or pediatric communities. 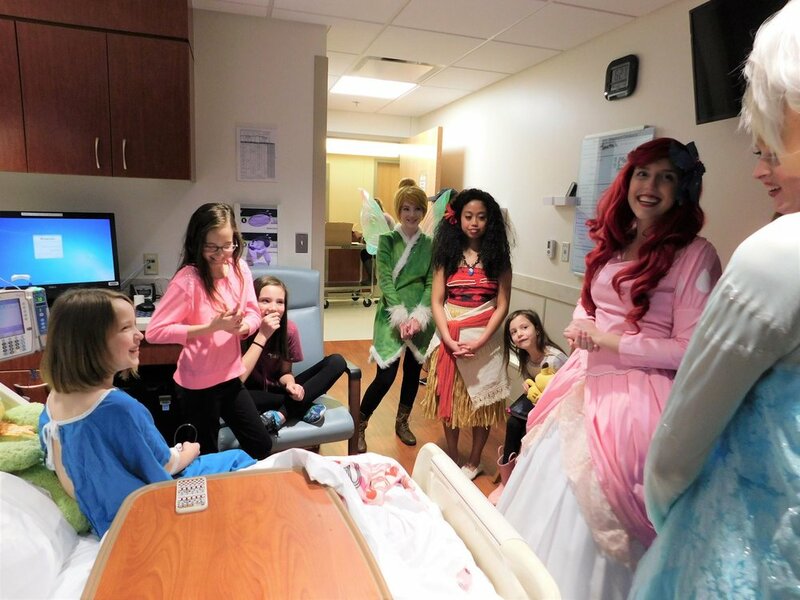 We have collaborated with various other nonprofit organizations such as Fleece & Thank You, Wigs4Kids of Michigan, FPIES association, and Princess Sparkle Network that serve the pediatric community. If your organization is interested in collaborating with us for an event or visit, please contact us! 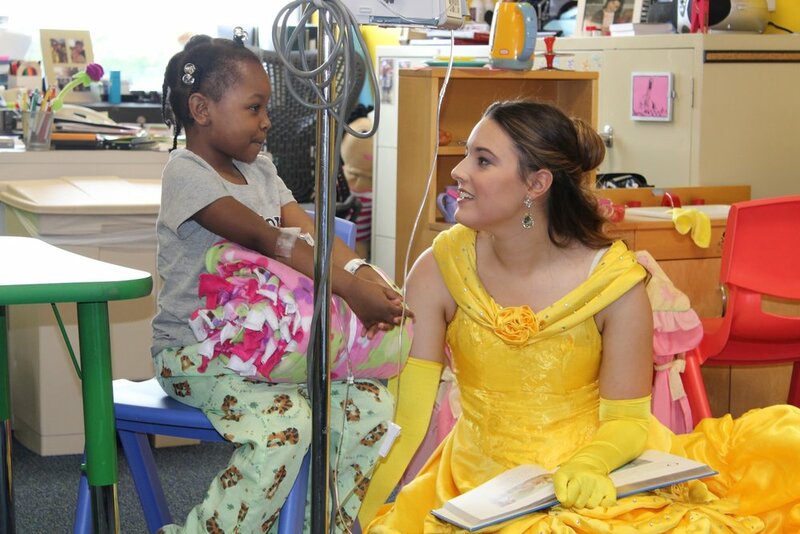 Click below for pictures from our past events to see the magic we bring to pediatric patients!